When is a bubble tea and a pair of high-waisted skinnies not a good combo? I'd say NEVER. I've got that bubble tea running through my veins. And my jeans are perfectly fitting enough to get me through any sort of sugar rush. Happy Friday ya'll. Currently getting over a cold right now, so I need any source of energy I can get my hands on right now. omg boba -- love how that's the first thing I notice. 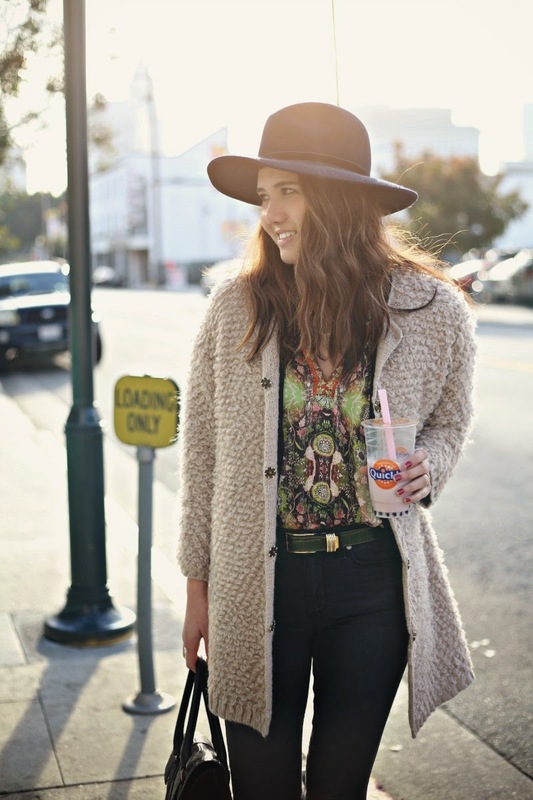 Love the way you styled this -- but seriously that boba!! You look lovely in that cardi! Fantastic boho chic outfit! Love your cardigan and blouse! great look! I love the green belt, adds a great touch. What a cool cardie Dylana! Your outfit is very inspiring! i love your hat as well! Bubble tea and fashion. Can't get better than that, for real! 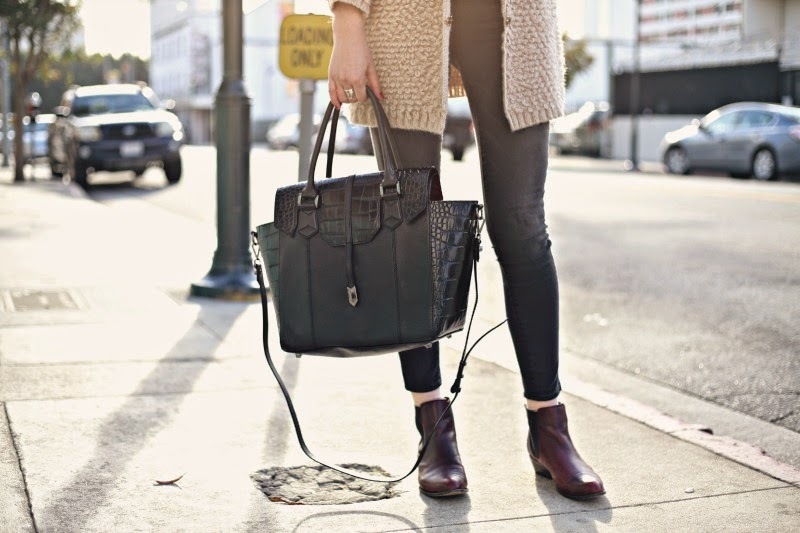 That cardigan looks so cozy, and I love the boots! Soo in love with your sweater!! This is so cute, your jacket and coat look very cool.